Sámi National Day Feb. 6: Rauna Kuokkanen, a Sámi who teaches at Univ. of Toronto, sees her people in a global context. 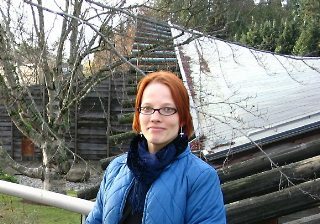 Rauna Kuokkanen, a Sámi from the Finnish area of Lapland, is a professor of political science at the University of Toronto in Canada. 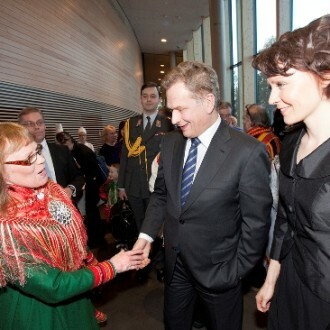 She’s been active for many years in advocating Sámi rights. Rauna Kuokkanen talks about Sámi rights in an international context. What do the Sámi have in common with indigenous peoples of North America? The cultures, histories and socioeconomic circumstances of indigenous peoples around the world are not the same, but there are a lot of similarities. In general they share a set of perceptions of the world, relating to cultural and social practices and discourses that are driven by an intimate relationship with the natural environment. They also share experiences of being colonised and marginalised by dominant societies: loss of political and economic autonomy, assimilation policies, cultural and social displacement, and dispossession. How do you relate what you know from Canada to the Sámi? In Canada, “duty to consult” developed from the recognition that if the government can override aboriginal rights (for example land rights) until they are confirmed by a treaty or a court, the rights may already have been given away and exploited, or transferred to private parties. Since the 1970s, indigenous peoples around the world have been sharing experiences and best practices related to getting their rights recognised, restoring their autonomies and implementing self-governance structures. I’m convinced that the Sámi have a lot to learn from indigenous peoples in North America, New Zealand and elsewhere. One of the few times the Sámi have enjoyed success in the Finnish courts was when Utsjoki municipality in northern Finland abandoned its plan for a plant that would bottle water from the sacred Sámi spring of Suttesája (Sulaoja in Finnish) about six years ago. What does “decolonisation” of Sámi society mean? One thing it refers to is the creation of institutions and services that better reflect Sámi values within education, healthcare, social services and politics. If possible, they can be grounded on principles derived from Sámi institutions that may have existed previously, usually informal ones. This is not a “return to the past”. It’s about finding ways to employ “traditional” principles and values when establishing present-day institutions. In some areas, such as Sámi education and social services, this is already happening. 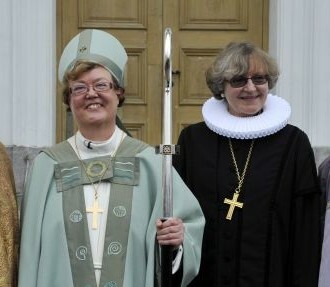 What’s at the top of your concerns about relations between Finland and the Sámi? 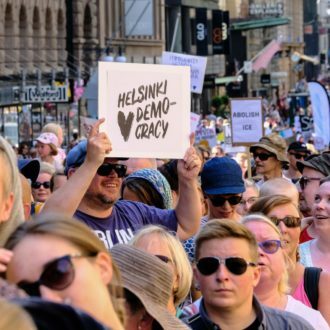 Finnish human rights policy has been characterised by double standards for the past two decades. Despite maintaining an international image as a defender of human rights, Finland has been deploying delay tactics and unfounded promises since at least 1990 when the Committee on Sámi Issues submitted a proposal for the Sámi Act to the government. 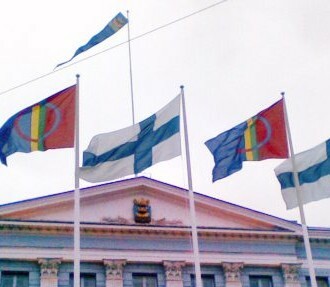 The Finnish Constitution has recognised the Sámi as an indigenous people and confirmed the Sámi linguistic and cultural rights. Finland was one of 142 countries to adopt the 2007 UN Declaration on the Rights of Indigenous Peoples. When will this translate into political will and legal measures? What improvements have you seen in the situation of Sámi people in recent years? Norway has been most progressive and active in recognising and promoting Sámi rights since the 1980s. For instance, the Finnmark Act of 2005 recognises Sámi land and water rights and ensures comanagement of resources. 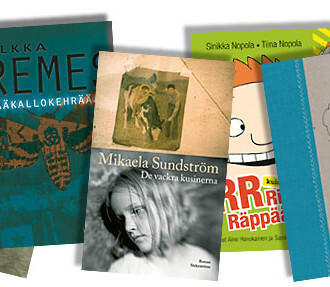 When I was going to school in Utsjoki, the Sámi identity and language were still stigmatised. Thanks to the long-term efforts of Sámi cultural workers, writers, politicians and others, young parents realised that it’s up to them to ensure the survival of the Sámi language by speaking it to their children. 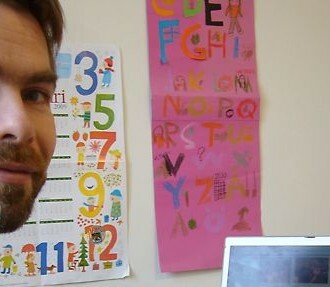 The status of the Northern Sámi language, spoken in northern Finland, Norway and Sweden, is stronger than it used to be – though still not secure.